went to a professional studio. We ensure the absolute perfect photo no matter the conditions. Not a photo booth expert? Not a problem! Every photo booth includes an on-site attendant that is trained to ensure everything runs smooth from on-time setup to breakdown. 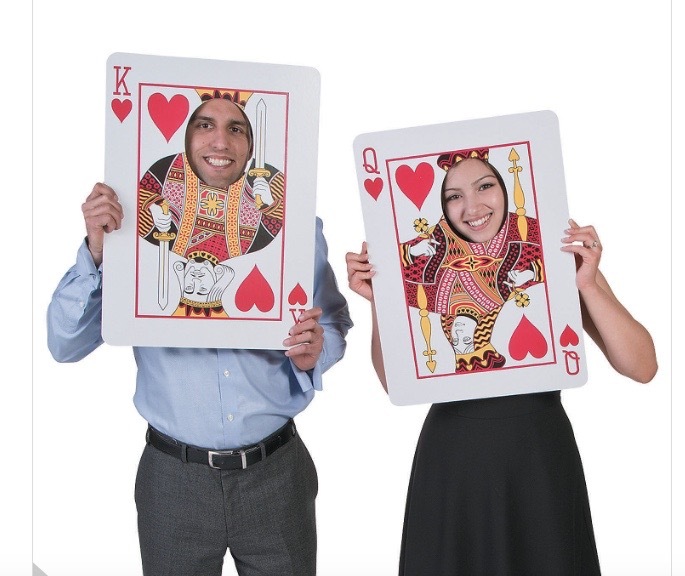 Throughout your affair, our attendant will assist your guests old and new to the photo booth experience. Guests can choose from four different photo options. This photo booth is a great option for parties limited on space. 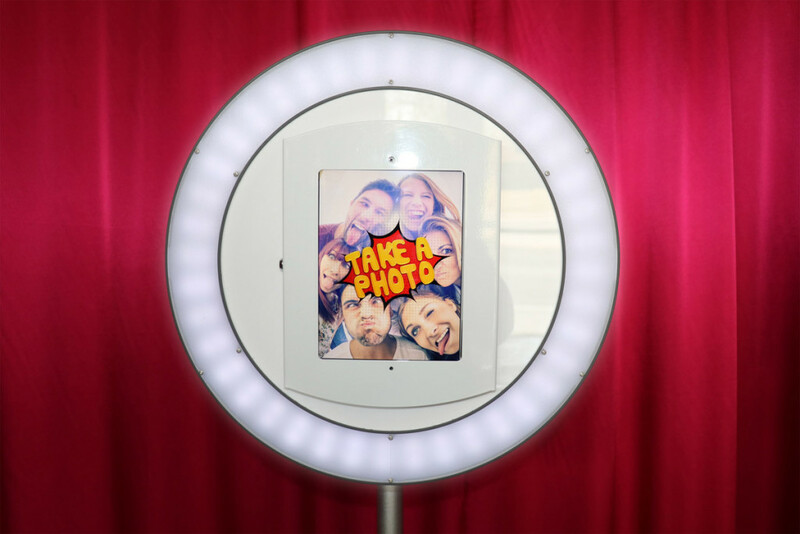 The Ring Light Photo Booth comes with a printing station. Our Open Air Photo Booth is a great way for your guests to leave with a giveaway they can enjoy long after your event ends? Why not rent a photo booth! 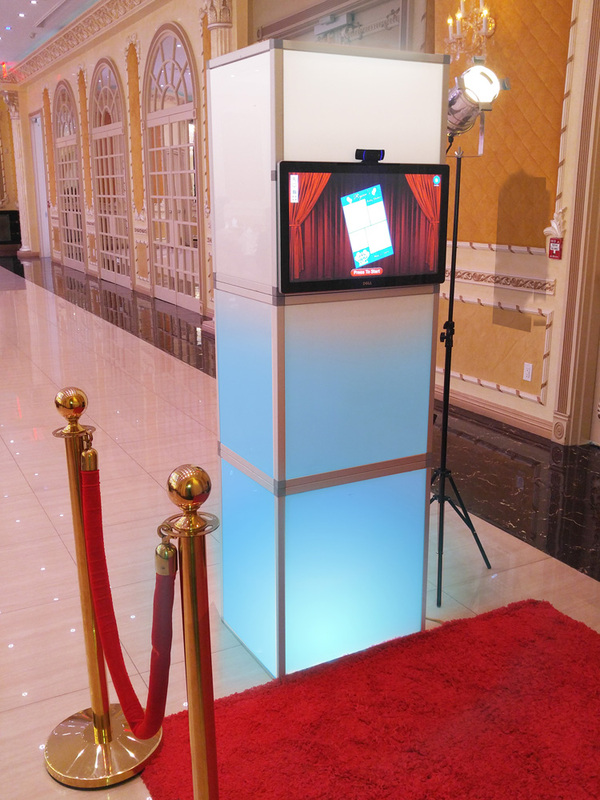 Our photo booth area is set up with a Red Carpet, Gold Stanchions and Red Velvet Ropes in order to give you and your guests the ultimate Hollywood effect! You have the option of choosing an enclosed booth or an open-air booth, giving you the option to not have to squeeze to get everyone in! Looking for a way to spice up your photos? We provide an ample supply of photo props and effects to make each picture custom to the star in front of the camera. Between our large array of hats, sunglasses, funny signs, mustaches, and boas, your photo is sure to bring a smile to your face every time. Our vibrant Photo Booth Printer produces stunning, quality 2×6 and 4×6 prints that won’t fade or smudge in just 7 seconds! They are even dust and water-resistant! In order to resolve the issue most photo booth brings of which lucky person gets the copy of the photo, each person in the photo will be given his or her own copy. You also have the option of adding a personalized watermark to each photo so everyone remembers all the fun they had at your event every time they look at their photo! Through DJ Long Island NYC you will get an unbelievably fun filled experience from people who are passionate about what they do. This will ensure your guests receive the best and highest quality service possible. Our customer service is top notch because we realize that YOUR event is as important and unique as YOU ARE! !